Allow me just to say a few words in English. I haven't prepared my script in English, but I discover some non-Cantonese-speaking audience. Maybe your Cantonese is better than my Cantonese, but I don't know. I'll just say a few words. I just want to pay warm tribute, my personal heartfelt tribute, to Dr Hu, Henry Hu. Without Henry and Dr Chung Chi-yung, Shue Yan would never have existed. Their contribution, sterling contribution, and selfless dedication are exemplary and in fact really touching. 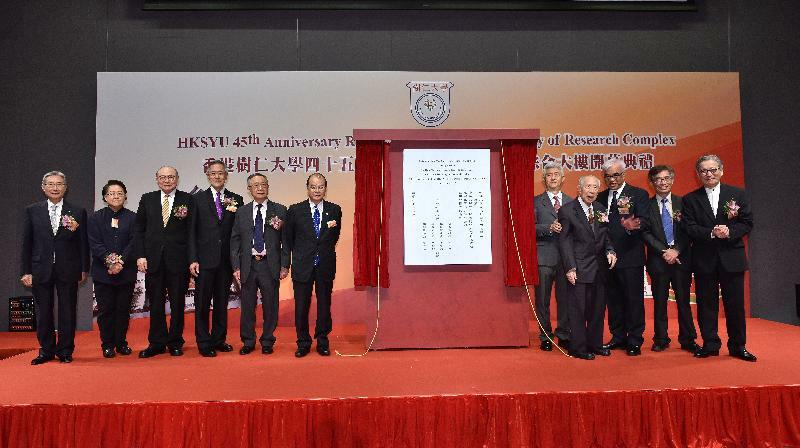 Shue Yan is the first private university in Hong Kong and a very successful one at that, and without contribution of Dr Hu and all the supporters of Shue Yan, Shue Yan would not have been that successful at the present stage. 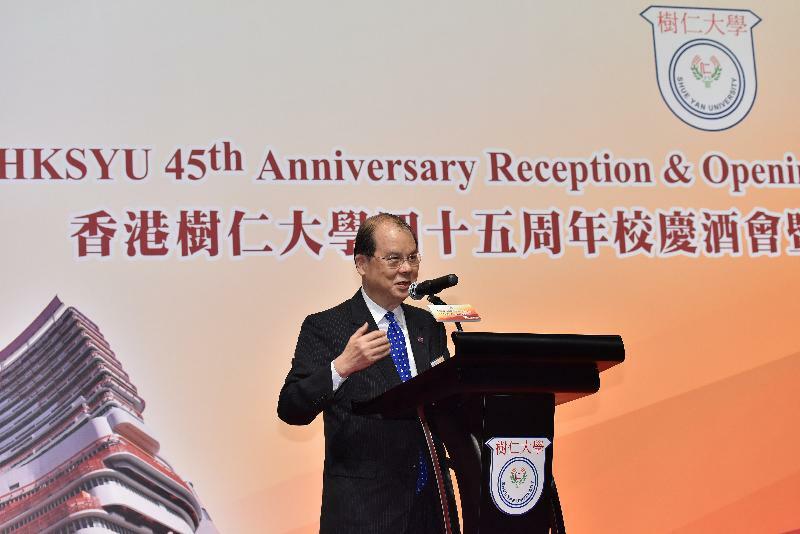 I am sure that Shue Yan will have another 45 years - glorious years - ahead of it and will establish itself as Hong Kong's first and also well-recognised private university. Thank you very much.